A favorite winter blooming tree is the Cascalote with its bright clear yellow flowers seen blooming all over the valley now. 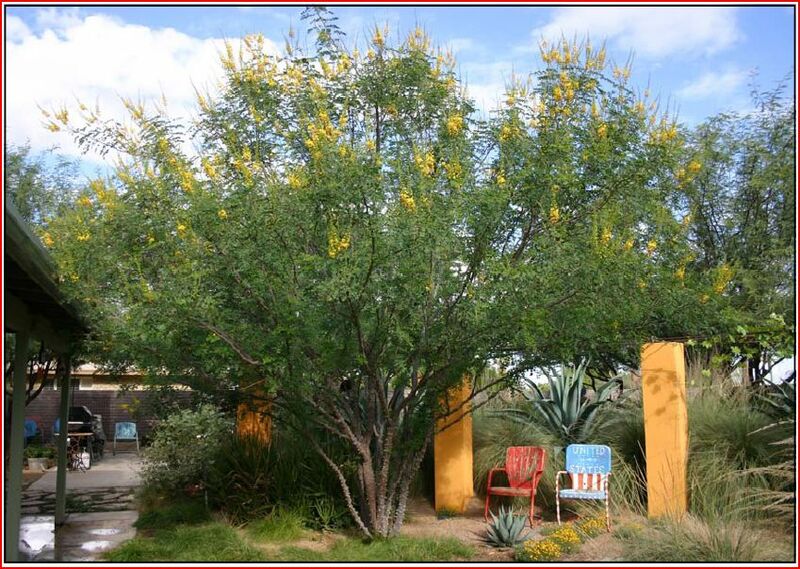 The Cascalote is related to the summer blooming Red Bird and Mexican Bird of Paradise. This plant can be a large shrub but looks best pruned as a small tree. Cascalotes can reach heights of approximately 15’ with spreads of a comparable size. 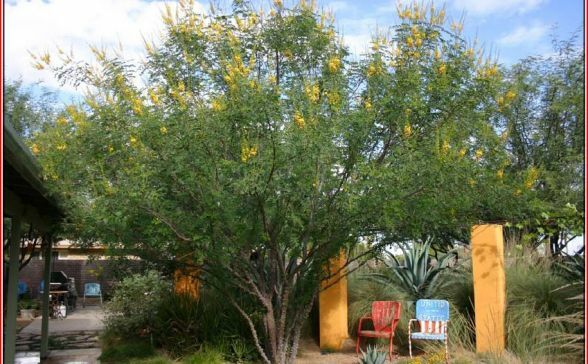 Large spikes of yellow colored flowers are followed by copper colored seed pods. These trees are in the legume family and because of their bean heritage produce seed pods. Large rose bush – like thorns are very noticeable along the trunk adding to the plants interest. Grow in full sun and associate with other low water using plants. Frost damage can occur when temperatures fall below 20°.